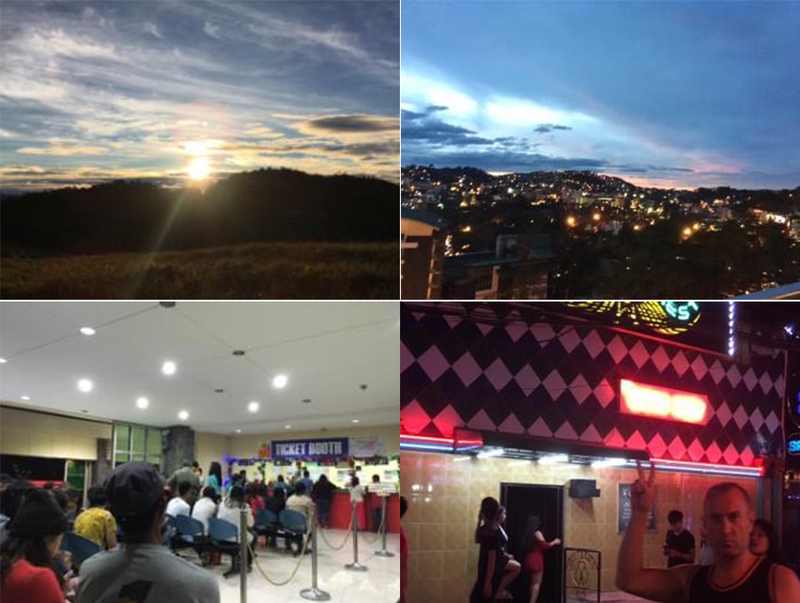 The reason I chose Baguio for studying is that the weather here is refreshing and comfortable. Time flew in two months and I have to go back to Taiwan to face a new challenge. The ESL course in MONOL is so-called “happily learning English”, divided into 5 skills: SPEAKING/LISTENING/WRITING/READING/PRONUNCIATION. Among these, Reading and Listening are man-to-man classes and the others are group classes. Talking with the teacher during class just feel like talking with old friends, I couldn’t feel any stress. In addition, the happiest time in a week is Saturday and Sunday. I can be with my new friends and together, we go on trips for two days. I personally think the food that is offered in Monol is not bad. Moreover, it is very suitable for students who prefer to eat lettuce salad. But I highly recommended students to go to the dining area 5 to 10 minutes earlier. Monol also offers a laundry service. If I don’t have time to wash my clothes, I could send to the laundry room. Normally, I can get my clothes for two days. Furthermore, if I want to wash my clothes by myself, I can go to the rooftop to use the washing machine. I don’t need to pay an extra fee, but I have to prepare laundry detergent. My room type is good for 6 students. Fortunately, my roommates are super kind. The advantage is I could meet a lot of friends who are from different countries. We have to communicate in English. The disadvantage is too many roommates would use the toilet during rush hour. I personally think the amenities inside the room are not bad. There are a lot of taxis and Jeepneys. If I want to go downtown, I could take a Jeepney, because it is cheaper than a taxi. By the way, don’t forget to wear a mask. However, it is difficult to get a taxi downtown. If you need to take a taxi from SM Mall, you can easily get one on the second floor. Monol has an EOP policy, wherein students go to a new challenge of speaking English only. If students speak their mother language, they would get a penalty. That’s the reason why students can improve their speaking skill faster here compared to other students from other schools. The quality of teaching in Monol is good. If you meet some problems with teachers, you can change your teacher immediately. I think this part is an advantage while studying in Monol. Time is limited so I have to catch any opportunity wherein I can enjoy my time in the Philippines. 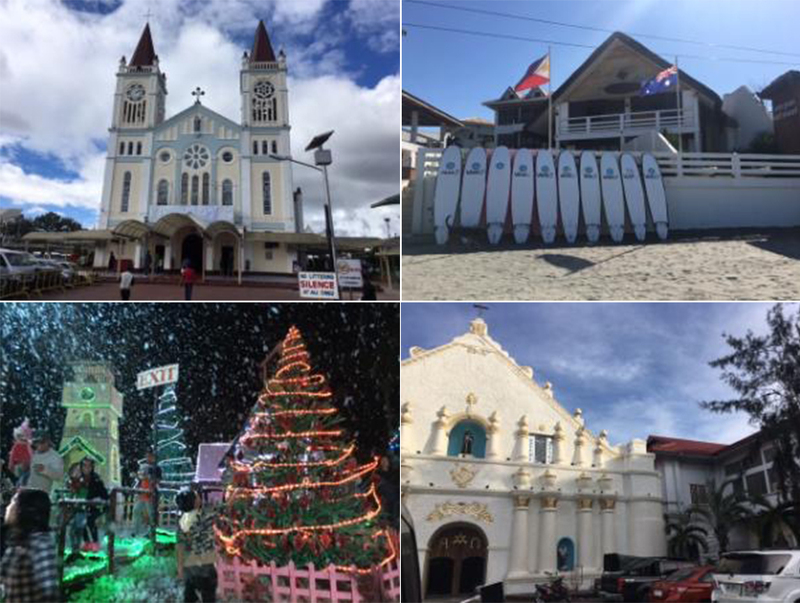 Therefore, I traveled to many spots during my time here, such as SUBIC, Ciudad ti Laoag, Clark city… and so on. I also climbed a mountain to see the sunrise and waterfall. The place which impressed me the most is Ciudad ti Laoag. When I got off our ride, everyone welcomed me, and I felt like a superstar at that moment. It’s really fun! By the way, wherever you are, you have to be careful of your cellphone and wallet. Don’t put them in a visible place.